In this post, your local remodeling experts from Renewal by Andersen® of Central Illinois share different kinds of bay windows you can install. Box bay windows are mostly used for ornaments or plants. They have a 90-degree angle, making a box shape. A large window is situated at the center and two smaller windows are on either side. The space in the middle of the windows can be used for storage or sitting. Circle bay windows are the combination of box and bay windows. They are smooth and circular and are commonly installed on the corners of a house. In the Gothic era, they were seen in living rooms, bedrooms and dining areas. Given the right amount of wall space, Renewal by Andersen of Central Illinois can professionally install these replacement windows in any room in your home. Oriel bay windows protrude from the upper level of your home and they are supported by a bracket or corbel. They can increase the size of the room without modifying the foundation dimensions. This window type became popular during the Victorian era. Garden windows are much smaller compared to the other bay window types. They are usually found behind the kitchen sink and instead of having a window seat in the middle, they have a shelf. Small plants and ornaments can be placed on the middle shelf. Bay windows are good additions to your home, with their energy-efficiency and appeal. 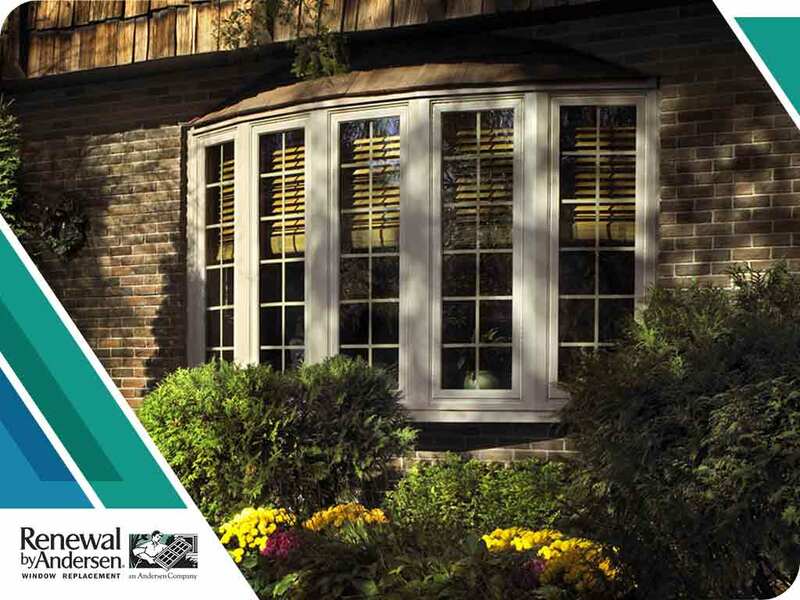 At Renewal by Andersen of Central Illinois, we are your leading local provider of replacement window installation services. Apart from bay windows, we also offer high-quality casement, picture, specialty and double-hung windows. Call us at (866) 693-6707 or complete our online form for a free in-home consultation. We work with homeowners in Bloomington, Galesburg and Champaign, IL.